The Conex FJ-500 is a compact mixer that allows easy remote broadcasts via your cell p;hone. It connects to various broadcast audio sources and is designed to work with most smart phones. 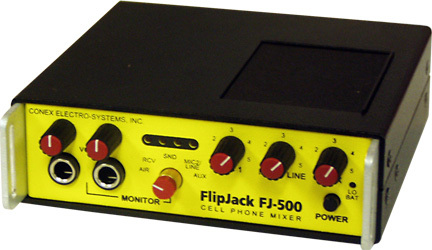 Use the FlipJack with your own remote mixers, recorders, microphones, headphones, etc for cost effective remotes.